During her fellowship at the Delta Science Program, Heidi Williams developed an online educational resource for a wide audience that communicates the identifying features of the Delta and its importance to California’s history through interactive features such as clickable maps, audio clips, and pull quotes. "I chose to use a format inspired by long-form digital storytelling platforms, that have been used effectively by The New York Times and others, that would lend itself to the eight sections of the Beginner's Guide: laying the groundwork, history of the Delta, the Delta as place, a Delta tour, the Delta as an ecosystem, challenges, management context, and additional resources," said Heidi. "My hope is that no matter how much experience someone has with the Delta, they can walk away from the Beginner's Guide having learned something new." I am not the first to write on this topic and I won’t be the last. That said, I scoured the internet searching for something non-intimidating to read that would tell me what the Sacramento-San Joaquin Delta is (referred to here as just the ‘Delta’), where it is, what the people are like, what kinds of plants and animals can be found there, and how it operates. Still, I couldn’t find the accessible yet thorough review I was looking for. So, I decided to write it myself. Let’s find out where and what the Delta is and why it is one of the most important places in California. 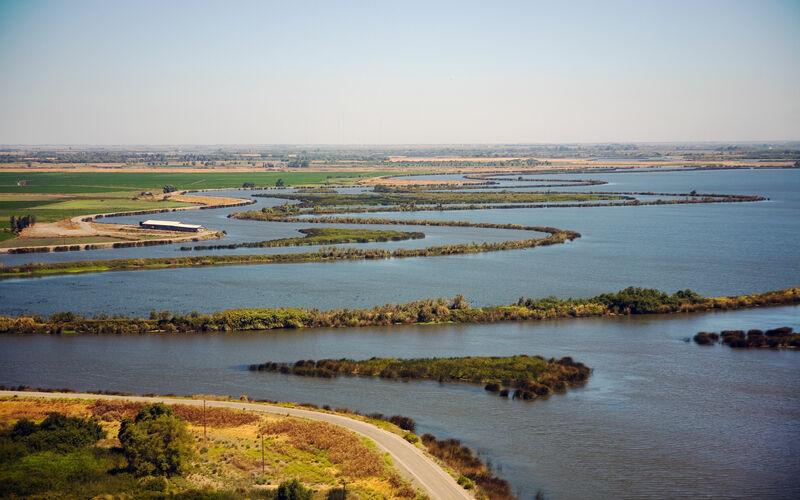 Read A Beginner’s Guide to the Sacramento-San Joaquin Delta.